UPDATE!!! CHILD SUPPORT IS DONE!!! 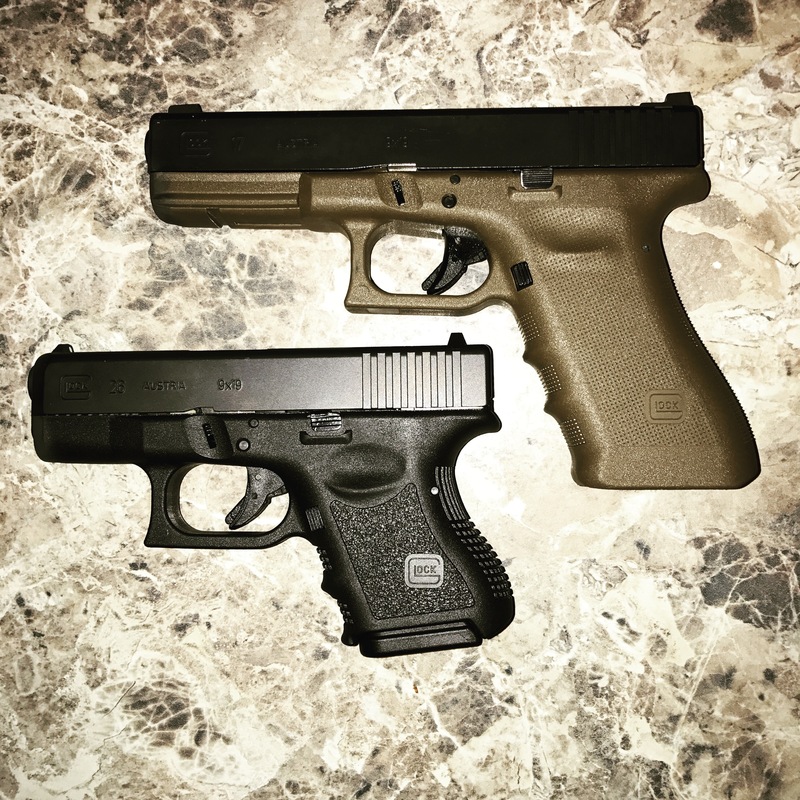 and as promised....I just got a new addition to my family G23 Gen 4....that I have already started upgrading. New slide lock release, new slide back plate and a new Lone Wolf barrel for the .357 Sig...I gotta say that I was super surprised on how accurate the .357 round is....flat trajectory...not terribly snappy as some people say...fun shooter..ammo was a little more but not bad..Anyone else have the opportunity to convert over to the .357 Sig round and how do you like it? Last edited by G303621; 07-03-2017 at 11:10 AM. Are you with the Federal government? VietNam era vet (USN - CTT2, USNR - CTT3), NRA Life Member, NRA Certified RSO, SAF, GOA. There seems to be a lot of members with felonious "old ladies" here. I've had probation in the house twice, I told them last week, she can't come back here. I had my inspection. I passed. I left my safe open, and empty. I have to wait on them to send the paper work off to MO, who then sends it to FL. I am hoping she is here before August. All of my toys are 90+mi away. They have to be that way for 2 more years or the outcome of the court in MO. Hopefully done by Christmas! Made this add to my collection last week. S&W 69 .44 Magnum 4.25".